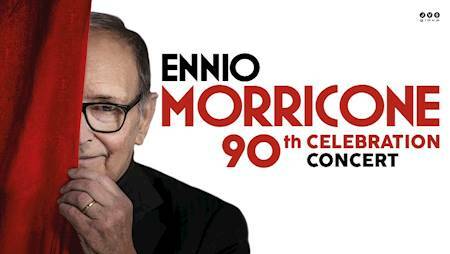 Legendary composer Ennio Morricone will perform on 19th January at TAURON Arena Kraków. He is coming to Poland to celebrate his 90th birthday together with Polish fans! Oscar winner, composer of music for over 500 movies, the author of unforgettable melodies and motifs is going to perform in the company of the Czech National Symphony Orchestra, choir and outstanding soloists. Buy your ticket now! "The Good, the Bad and the Ugly", "Once Upon a Time in America", "Cinema Paradiso", "The Mission", "The Best Offer", "Frantic ", "The Hateful Eight" and a lots of other pictures - music by Ennio Morricone moves, provides emotions and wakes up memories of many generations of viewers and music lovers. His concerts are intergenerational meetings of fans of the most beautiful melodies. An evening with an Italian composer and conductor is a unique experience, during which Maestro hypnotizes the audience by conducting its emotions like a huge orchestra. Therefore, for the Krakow’s concert, besides his fans, the Czech National Symphony Orchestra and choir, Ennio Morricone invited to the celebration musical guests - instrumentalists and vocalists.